Whether taking an extended vacation or looking to get away for the winter, The Myrtle Beach Resortis the perfect place to make your home away from home. 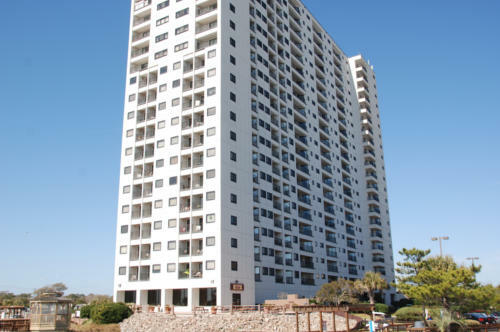 Monthly rentals at Myrtle Beach Resort provide you with all of the comforts of home, including furnished units with fully-equipped kitchens, while also having the chance to enjoy the mild temperatures, thrilling attractions, and relaxing atmosphere of Myrtle Beach. The Myrtle Beach Resort is only a short drive away from many of the best attractions in the area like Broadway at the Beach and the Myrtle Beach Boardwalk, not to mention the bevvy of restaurants in the surrounding area. There are so many options to choose from, and With all of the excitement of Myrtle Beach right at your door, you are sure to love your monthly stay with The Myrtle Beach Resort. * Special Requirements - Highlighted pricing periods require that you stay 90+ days to be eligible.